[German]Owners of an Android device should be careful when copying or moving files at the device’s memory (internal/external) via USB connection using Windows 10. There is a risk losing files on the Android device, because the files do not arrive in the target folder. I recognized that behavior a while ago, wondering, why I’ve had trouble, from time to time, using the Windows 10 explorer and an USB connection, to move or copy files on my Android device from one folder to the other (for instance from Screenshots to downloads). But pulling files from my Android device to my Windows 10 system was reliable at all. And I read from time to time user posts in Microsoft answers, claiming lossed photo files from Android devices during handling file operations within Windows 10. But I haven’t had the time to investigate. 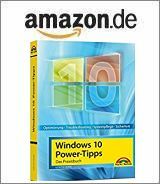 A user send German news magazine heise.de a tip about that behavior – and heise.de published the German article Android und Windows: MTP-Bug lässt Dateien verschwinden. Suddenly some things became clear to me. If you connect an Android device to a Windows computer via USB cable, it can access the files of the device memory. This allows you to exchange photos, video or music etc. between Android device and PC. Of course, you can also access the memory of the Android device from Windows via Explorer and ‘clean up’ some files, i. e. copy or move them between folders located on the internal or external memory of your Android device. This is made possible by various protocols such as MTP or PTP and by the setting the device to behaves like an removable medium. The Media Transfer Protocol (MTP) was introduced by Microsoft years ago to standardize the transfer of media files (images, music, movies, etc.) between Windows and mobile devices via USB connection. You cannot move files between folders located on your Android device’s memory (internal memory or sd card) using Windows 10, because this will cause data loss. If you want to copy files from on folder to another folder of your Android device, using Windows 10, this operation fails. The files don’t arrive in the destination folder, it just doesn’t work. This is independent of the Android memory (internal/external SD card), but occurs only via Media Transfer Protocol used under Windows 10. At reddit.com is this thread where someone describes the problem with a Sony Xperia Z3 Compact under Windows 10. Which devices and operating systems are affected? At heise.de they tested several Android devices. Here are a list (not complete) of Android devices failing during MTP copy/move operations. I run a short test unter Windows 7 SP1 with a Motorola Moto G5. The files could be copied or moved between folders of the Android device without any problems. The same test under Windows 10 version 1703 produced exactly the expected result – it doesn’t work. Copying files means: Not files are copied to the destination folder on my Android device. Moving files resulting in loss of this file, because it never been copies to the Android device’s target folder, but will be deleted successful within the source folder on The Android device. I couldn’t test whether earlier versions of Windows 10 or individual Windows 10 builds were affected. At heise.de reader comments mentions that Linux systems (opensuse, ubuntu) are also affected. heise.de suspects that the MTP protocol interacts with Android ASOP, since newer Samsung devices are probably not affected. There are some reader’s tips that you can copy/move files using alternative Windows file managers. And of course you can use an Android file manager app to copy/move files on your device. But many users feel, it’s mor comfortable to use a Windows file manager and an USB connection to manage file operation on their Android device. Overall, this is an unsatisfactory situation with Windows 10. This entry was posted in devices, issue, Linux, Windows and tagged Android, issue, MTP, Windows 10. Bookmark the permalink.